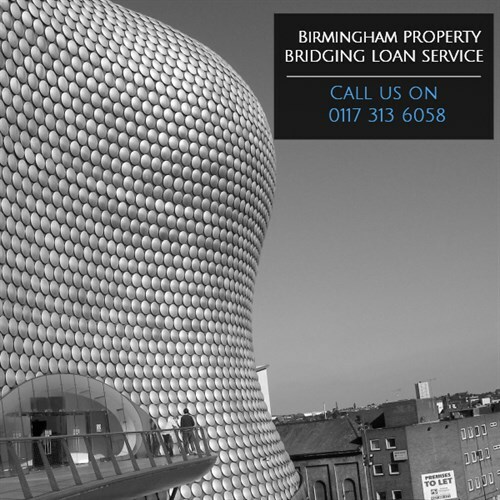 Looking for a bridging loan in Birmingham? To investigate your bridging loan options for property in the Birmingham and Midlands area, call our team on 0117 313 6058 or fill in our call back form. See our bridging loan calculator to get an indicative quote based on your situation. Need funds fast? - Get a fast, temporary cash injection when you most need it during the property purchasing process. The ability to move quickly can make the difference on any property transaction. Development finance - If you are buying property to redevelop and you need finance to get your project off the ground, then a bridging loan could help make the difference. Bridging loans come in two varieties. Closed bridging loan - This is exclusively available to people who have already exchanged on a specific property and need the finance to secure it. This type of bridging loan can be easier to come by, as the lender will consider the sale unlikely to fall though at this point. Open bridging loan - This is aimed at people who have found a property they want to buy, but have not yet sold their current home. Due to the increased chance of a sale not occurring, lenders are often more reluctant to offer open bridging loans. Your chances of acceptance will be increased if you have a lot of equity in your current property. Call us on 0117 313 6058 or complete our request callback form. To discuss bridge financing solution for your needs complete our short enquiry form.